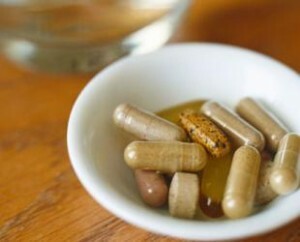 A number of probiotic supplements have small quantities of gluten. However, whether those traces can be harmful for those who cannot eat gluten remains unknown, said a recently released study. Over half of the products tested or 55% had levels of gluten that were detectable, said researchers. Probiotics are pills that contain what is called good bacteria, and have been touted as helping maintain a digestive system that is healthy. One of the researchers said that it appeared the labels that claim the product is free of gluten cannot be trusted, at least where probiotics products are concerned. The majority of products that had contained gluten had just trace amounts or less than 20 parts per million and according to the U.S. Food and Drug Administration would in fact be considered gluten free. Nevertheless, 18% of the products contained higher quantities of gluten, which was too much to be called gluten free. In addition, two of the four products that contained excess gluten had been labeled gluten free. Researchers also found that it was just as likely those products that were labeled gluten free would have gluten as those that were not labeled gluten free. People that have celiac disease experience immune reactions if they consume gluten and the reaction can damage their intestine. Therefore, those individuals must stay away from gluten in their daily diet, but many with this condition also take dietary supplements including the probiotics said researchers. A study done previously by the same researchers found patients who had celiac disease who consumed the supplement were more apt to experiences some symptoms of celiac disease than those who were not taking supplements. However, it is not clear if small amounts of the gluten found in probiotics could pose any health risks to people suffering from celiac disease. Some patients, who are more sensitive to gluten than others, could experience symptoms for even very small trace amounts, said researchers.